House Bill 2138 would require the Department of Human Services (DHS) to institute work or community engagement requirements for able-bodied Medical Assistance recipients. The work requirements include being employed or attending a job training program for 20 or more hours a week or completing 12 job training program-related activities in a month. Exceptions do apply for those unable to work. The bill passed the House and is now awaiting consideration by the Senate. To help job creators fill in-demand jobs now and in the future, the House is considering a package of nine bills which seek to improve career and technical education opportunities and enhance science, technology, engineering and math (STEM) curriculum. The bills are expected to receive a final vote in the House next week. Many parents know how nerve-wracking it is when our child gets a permit or driver’s license. You are always worrying and wondering if you’ve done everything you can to teach them to be a safe driver. 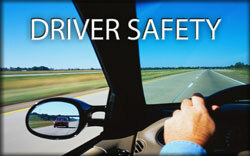 Young drivers tend to emulate what their parents or guardians do when behind the wheel. If you answer your phone when driving, chances are your teen will as well. Have a lead foot? Your teen probably will too. Want your child to wear a seat belt? Buckle up yourself. It is never too early to start setting a good example behind the wheel. Talk to your children about driving before they turn 16. Remember, you play a key role in your child’s driving behavior.